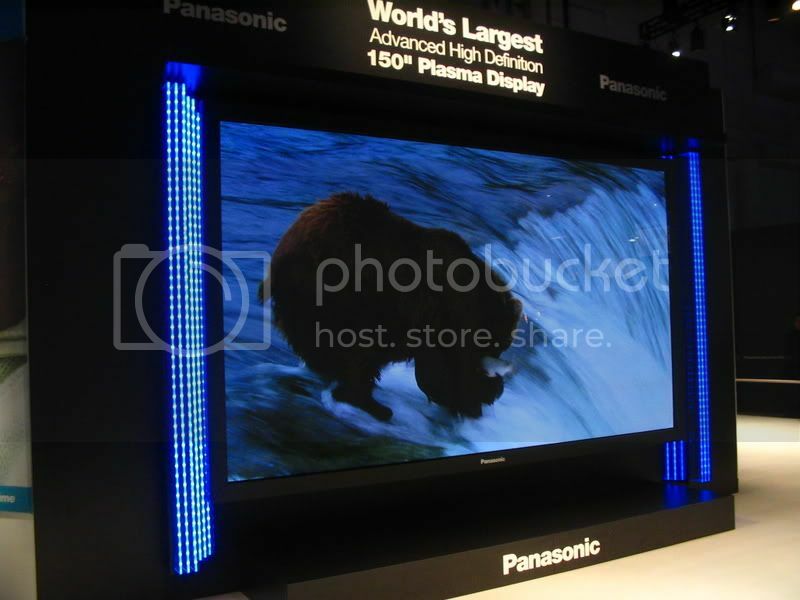 Topic: Projector screen vs. Painted screen... opinions? Re: Projector screen vs. Painted screen... opinions? Yeah but I know a guy. Some of his shots of the plasma before CES started and they were all getting setup. They were too big to attach so you'll have to click the links to see them full size. Comes out of the white van selling speakers. Duuuude. Don't give away my secrets. I wonder if those asspipes are still around with their hundred million gigawatt dixie-cup speakers. Estimated price was $200k for the 150". 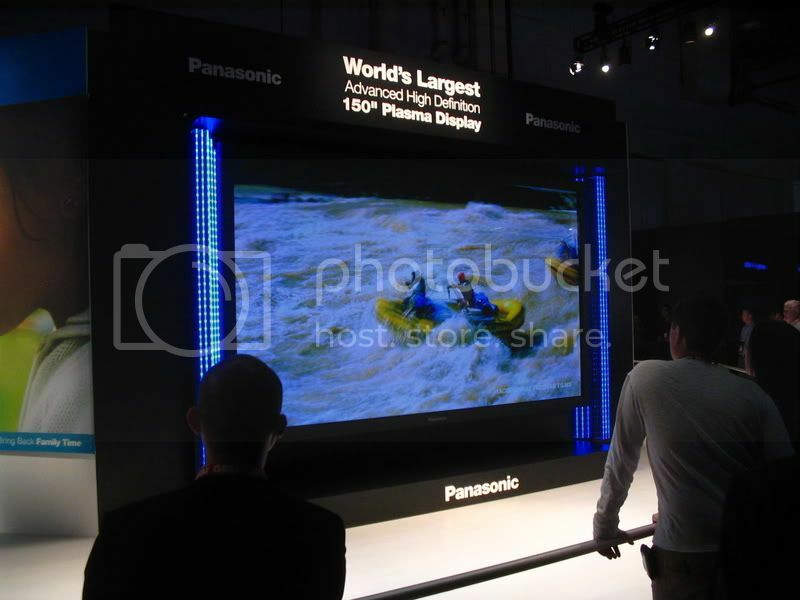 Currently Panasonic has built only three of them. Yup, and in 18 months, it'll be $50K. Could be. I think you'll see alot of innovation and $$$ going into OLED in the next few years though instead of these 150" types of plasmas. Those gigantic Mitsubishi's look pretty decent as well -- although I've never been to excited about the thought of buying a television from a car company... or is it the other way around? 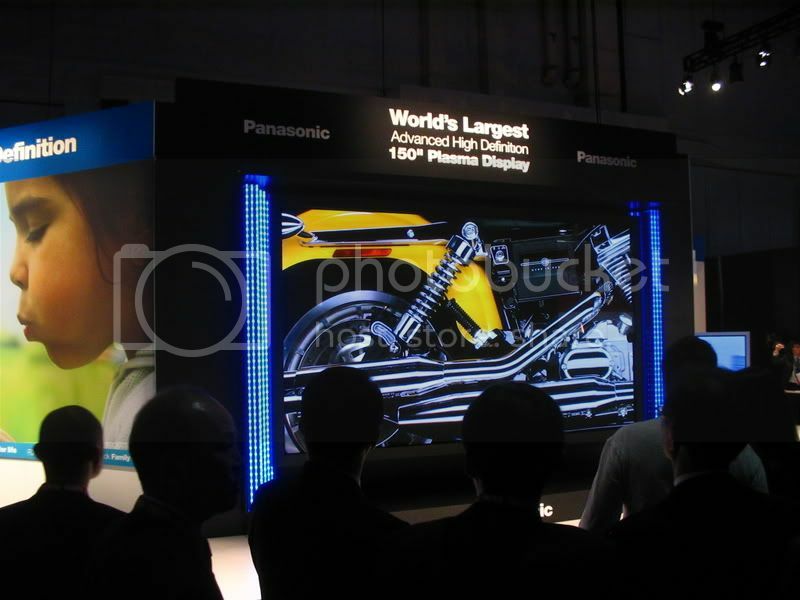 What for you is a compelling reason to go with a projector instead of a plasma/lcd/oled television? Picture quality is not one of them. Going with a projector can get you into a larger screen size at a given price point. I got a HD projector (720p/1080i) and 92" screen for for less than $1500. I am happy with the picture quality. The tradeoffs? No, it is not as sharp/crisp/bright as a smaller plasma, and the picture is definitely washed out when there is a lot of sunlight in the room. However, I really enjoy the larger size for watching sports and movies, and at night when it is dark outside the picture looks very nice. I have not gotten around to installing light blocking curtains, which would make it look better in the daytime. Since stejampzy is putting this in his basement, I assume he will have good control over ambient light which is a plus for a projector-based display. I've never seen the picture quality of screen paint, but IMHO having a quality display surface is crucial to getting the most out of a projector. If your wall has any sort of texture I think it will degrade your picture quality. FYI I Dragonfly offers a nice screen at a reasonable price, I got my 92" gray from http://www.theprojectorplace.com/ for less than $500.